Merry Christmas to all our members and sponsors and we want to thank them all for supporting us all year and our Christmas Draw last weekend. Thanks again and Hard luck to all those who entered who didn't win but there is always Next Year!!! Well done to Ronan Smith, Luke Walsh who started for the Dublin hurlers in the Dubs Star match, also Darren Gavin and CJ Smith who started for Dublin in the football version as well. And Ciaran Dowling finished the Lucan representation when togging out for the Stars in the hurling. Lotto There was no winner of the lotto on the 20th December; Numbers were 8, 11, 13 and 25. Next weeks’ jackpot €8,200, draw will be managed by Cormac Gordon and is sponsored by O’Grady’s Hearing Care Services. Lucky Dips Winners: Declan O’Leary (€50), Ben+Charlie Flanagan, Don Crowley, Clandillon friends, Frank Farrell. Play Online here, Or Tickets can be purchased at the Club, or in Kenny’s Vesey Arms. 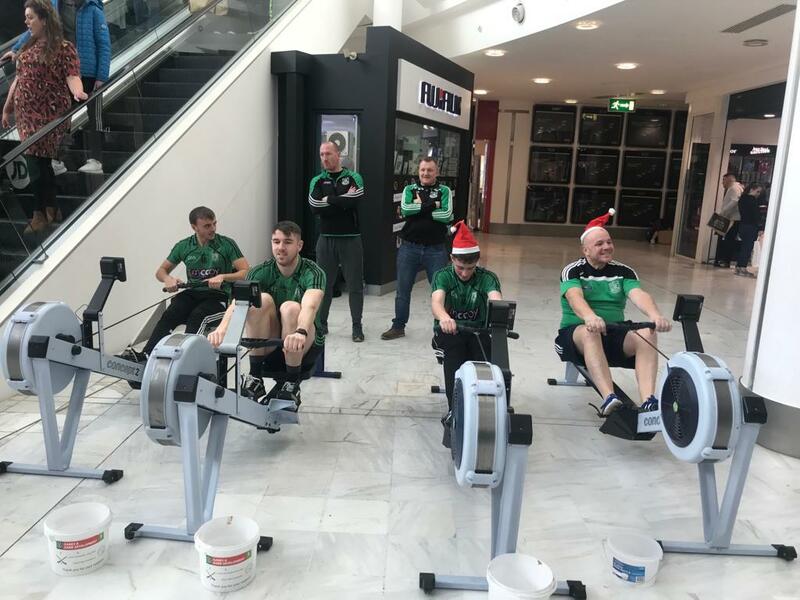 Senior Footballers ran a successful rowathon on Saturday in Liffey Valley SC. Thanks to all who supported. The Club is now shut for the festive period. Open Thursday 27th and Thursday 3rd January for the LOTTO.